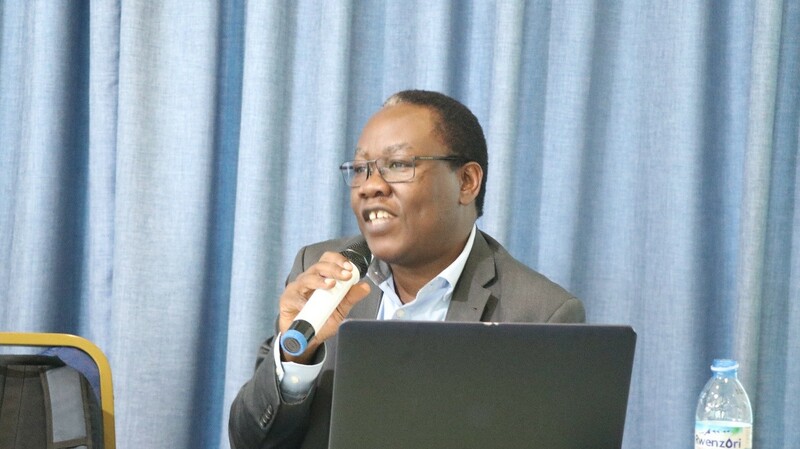 You are at:Home»NEWS and UPDATES»BLOGS»Looking back at what SPEED Project has contributed to Reproductive Maternal Newborn Child and Adolescent Health (RMNCAH): An interview with Prof Freddie Ssengooba. Briefly tell us about the SPEED project? SPEED stands for Supporting Policy Engagement for Evidence-based Decisions (SPEED) for Universal Health Coverage in Uganda Project. SPEED is a five-year initiative supported by the European Union (EU) launched in March 2015 and broadly addresses Universal Health Coverage (UHC) and systems resilience in Uganda. The initiative is being implemented by a partnership of institutions that are specialized in health policy and systems research, economic policy analyses, social science research, national planning, and advocacy for health rights. SPEED is a consortium of five implementing partners, i.e Makerere University School of Public Health -MakSPH (lead agency), Economic Policy Research Centre (EPRC), National Planning Authority (NPA), Uganda National Health Consumers’ Organisation (UNHCO), Human Sciences Research Council-HSRC (based in South Africa) and the Institute of Tropical Medicine-ITM (Antwerp, Belgium). SPEED has done a lot of work around UHC, what in particular has SPEED done for RMNCAH? There are many areas for which SPEED has contributed to. It should be noted that this project was designed in such a way to respond to the key questions from the clients. As the country was concluding the era of Millennium Development Goals (MDGs) and looking ahead into the Sustainable Development Goals (SDGs) period, the government needed to be guided on how to deal with the issues of reproductive health. 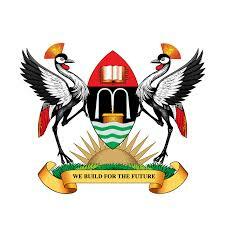 SPEED was commissioned by MoH and development partners (WHO, UNFPA and UNICEF) to evaluate the implementation of the Costed Implementation Plan for Family Planning (CIFP2020), The Sharpened Plan for Maternal and Child Health (2013-2015) and the National Adolescent Health Strategy in Uganda. How did you undertake this task? Through a number of engagements with stake holders and development partners at district and national level, we generated a report with key recommendations. In the report we emphasised the need to have more comprehensive ways of understanding the RMNCAH problem in Uganda, working on data systems for proper estimation of RMNCAH service needs, prioritisation of interventions and ensuring effective coverage of RMNCAH across all districts since many had not yet internalised the implementation requirements for RMNCAH. What happened after this report? Are there some changes that came in place after your report? Yes, on the basis of our recommendations, the government established the annual RMNCAH Assembly. This brings all RMNCAH stakeholders and development partners annually to deliberate and decide on concrete actions to improve outcomes. The first annual meeting was convened on 10th December 2015 at Kampala Serena Hotel Conference Centre with the aim of establishing a clear coordination and accountability mechanism that would reduce on duplications and ensure efficiency and effectiveness in RMNCAH service delivery by all stakeholders in the country. It was presided over by Hon Janet Museveni – champion for RMNCAH. In this meeting, SPEED project played a major role of informing the deliberations using the findings from the study. I presented on the concept of ‘delivering as one’ for RMNCAH. In my presentation, I emphasised the four different shifts for improving RMNCAH implementation and stakeholder’s coordination. Ie. Use of data by locals, high impact solutions, working across other sectors and mutual accountability. I further challenged the stakeholders and development partners present on three critical issues of; 1) Expanding information systems for accountability, 2) Progressively increasing access for services to ensure feasible Investments in quality of services provided. Following this convention, there were deliberate efforts from both the government and development partners to implement the integrated RMNCAH guidelines to accelerate the reduction of maternal and new-born deaths. 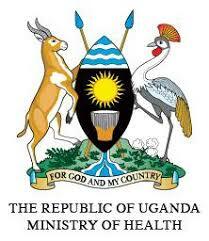 How did your work contribute to the World Bank grant of $140 for RMNCAH program in Uganda? Well, given several meetings held on RMNCAH not forgetting the recommendations we made, we were invited to present a case / findings and advise the World Bank Mission that was assessing the business case for the grant to support RMNACH. Our contribution was to share the main findings especially the need for a more comprehensive package and the need to operationalize district service delivery systems. 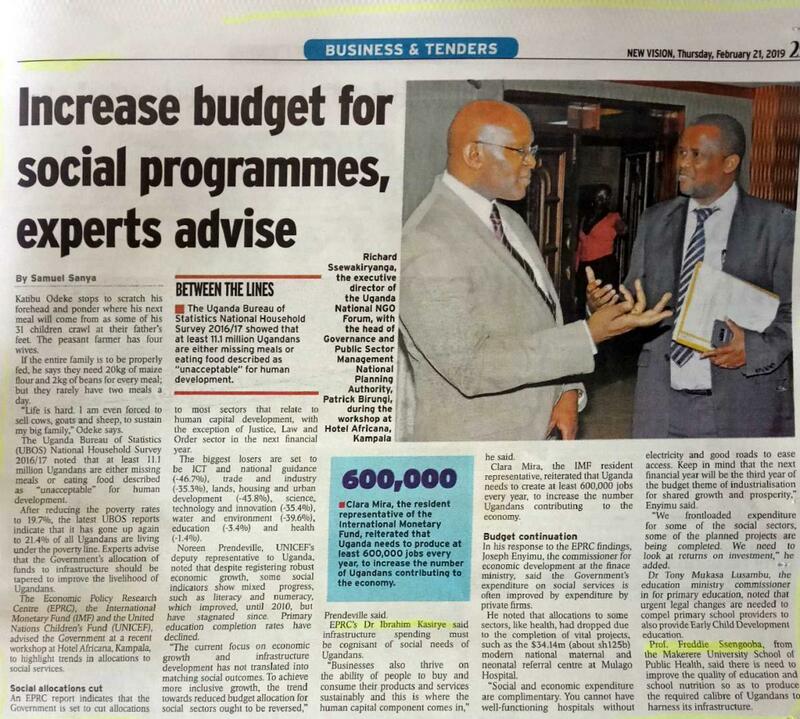 We also recommended for the need to scale up and institutionalise results-based financing (RBF) for primary health care services which was later alone adopted by this grant. Another item, we should not ignore is the inclusion of the National Identification and Registration Authority (NIRA) in this grant for RMNCAH. This came in directly from our recommendation to the government to improve community data systems and have vital registration so that the service needs are clear and indicators are well based with accurate indicators. Is there any other point you would like to share? I am so grateful to our funder – the European Union and the team am working with in this consortium whose contribution has made the SPEED project to have a great impact here in Uganda and abroad. I would also like to thank Dr Justine Bukenya, Mr Moses Mukuru and Mr. Michael Ediau who contributed greatly to this RMNCAH work.